The AA said the average comprehensive motor insurance figure was £531 at the start of 2014. This was 5.6% down on the last three months of 2013 and 16.6% down on the figure for the same period last year. The figure for third party, fire and theft was £725, down 8.4% on the past three months and 18.5% on last year. The AA said this policy was higher than comprehensive insurance because it is typically taken out by people aged between 17-22 who have to pay the most for comprehensive insurance. Young drivers did however experience the biggest fall in premiums in the first part of this year, coming down by a fifth; while the smallest movement was for those aged over 70 whose premium went down 7%. The age bracket which pays the cheapest comprehensive insurance was those aged 60-69, with an average of £299.81. The figures also show that north-west of England saw the biggest fall at 21% compared with East Anglia with the least at 13%. However, the AA warned that the downward trend could be under threat. AA insurance director Simon Douglas said: "Legal reforms introduced by the justice ministry to curb organised attempts at whiplash injury fraud coupled with better fraud detection by insurers have also certainly helped put downward pressure on premiums. "But despite this there is no evidence that this is delivering any significant reduction in the number and value of personal injury claims." He added: "I do expect premiums to start rising again this year unless the fraud issue can be dealt with. "If not, it's likely to be young drivers, those with a poor claims history or those in localities where there are frequent claims who will find it most difficult to obtain competitive cover." Justice Secretary Chris Grayling said: "We are turning the tide on the compensation culture and doing our bit to help drivers with the cost of running a car. 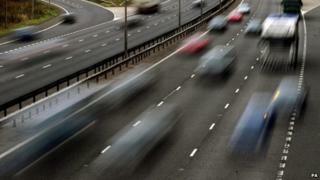 "We have made major law changes which have been a significant factor in these record falls in car insurance premiums. "But we want to do more, and we are now going after the fraudsters who force up the costs for everyone else."